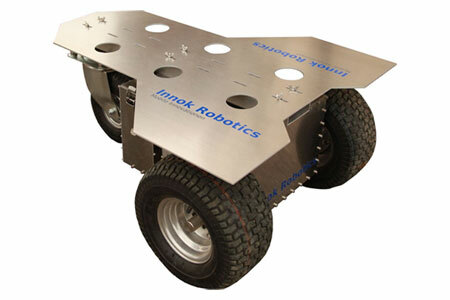 Innok Heros Robot is optimised for Research purposes and Rapid Prototyping which enables you to quickly and reliably configure your mobile robot platform. Software: The Heros software framework is modular too. 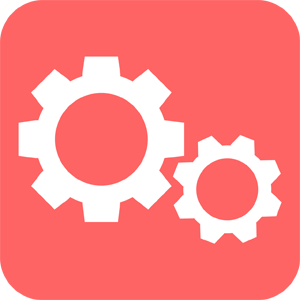 Based on the ROS (Robot Operating System) open-source platform and the Ubuntu operating system, drivers and preconfigured components are available. Other operating systems can be set up on customer’s request as well. Of course, the drive is also directly controllable. Interfaces: Heros comes with a CAN bus connection as standard. Using the optional LAN / WLAN interface, you can connect Heros to the on-board PC or your network. The control computers can be located directly on the robot or can be accessed from outside via a wireless network connection. The connection box allows you to connect your individual sensors and to supply them with electricity from the vehicle’s power pack if required.